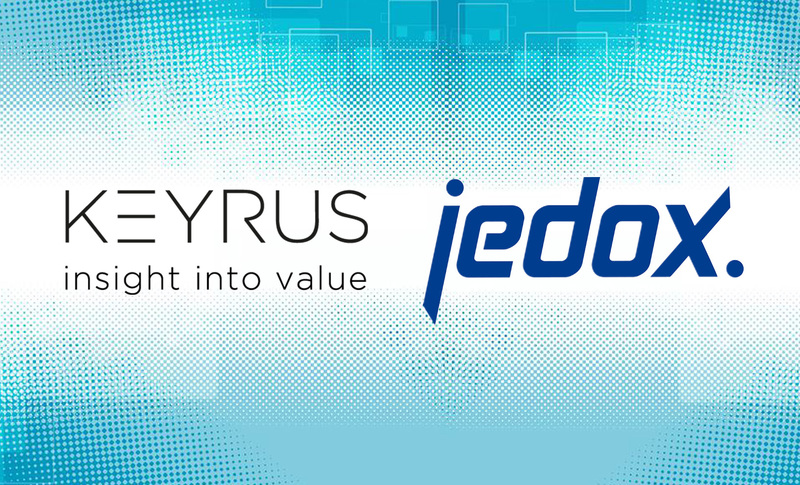 KEYRUS | Keyrus expands its ‘Enterprise Performance Management’ offering by entering into a partnership with the editor Jedox. Keyrus expands its ‘Enterprise Performance Management’ offering by entering into a partnership with the editor Jedox. An international player in the fields of Data Intelligence, Digital, and Consulting on the Management and Transformation of enterprises, Keyrus announces that it has entered into a strategic partnership with Jedox, a simple and innovative solution dedicated to planning, reporting, and data analysis to optimize management controlling processes. This new partnership enables Keyrus to meet the growing demand by its clients for a tool accessible to a "non-IT" population and sufficiently flexible to satisfy the various requirements of their departments – as much the financial ones as the operational ones – in relation to the management of their steering processes. "We chose Jedox because its solution offers numerous advantages. Being equally available in "On Premise" or "SAAS" mode without any loss of functionalities, this solution integrates easily into existing ISs thanks to its numerous native connectors", specify Delphine Rieter and Arnaud Dumesny, Managers of the FPM (Finance and Performance Management) Solutions Practice at Keyrus. "This flexibility allows it to cater as much to Large Account users as to Small- and Medium-Sized Enterprises. Moreover, Jedox is based on the highest market standards in terms of performance and has a high level of integration with Microsoft Excel, which makes it easier to appropriate. We particularly appreciated its Web interface, mobile interface, and integrated ETL, these being significant factors that will facilitate its deployment with our clients." This partnership is a valuable addition to the EPM offerings Keyrus already proposes to its clients in France as part of its expertise in Management & Transformation and Data Intelligence. Today Keyrus boasts around ten consultants who have been Jedox-certified since the start of 2016 and wants to accelerate the upskilling of its teams by 2017. During its annual conference at the Global Partner Summit in Berlin on 27 September last, Jedox honored its collaboration with Keyrus by presenting it with the "Rising Star" Partner of the Year Award for France. "We are proud and very happy to now formalize our collaboration with Jedox. This partnership is fully in line with Keyrus's strategy of creating value by combining both our technological and business expertise. That is the case here, with the implementation of EPM solutions and Keyrus Management's know-how in helping financial and operational departments optimize their steering processes", underlines Hervé Uzan, Executive Vice President, France & Southern Europe at Keyrus. "I am convinced that this new collaboration will help numerous enterprises looking for simplified planning and reporting processes", comments Bernd Eisenblätter, Worldwide Commercial Director at Jedox. "Partners like Keyrus embody innovation values and make a valuable contribution to the development of Jedox and its global partner ecosystem." "Our partnership with Keyrus made obvious sense and is in line with our strategy of equipping enterprises with an innovative planning solution. Keyrus is already heavily involved in this new collaboration and is committed to implementing solutions that combine performance and flexibility. We are delighted to have Keyrus as one of our partners", adds Olivier Pasquier, Director, France at Jedox.